Whether it’s time to go back to school or not there’s something about a bright yellow school bus that always catches my eye! 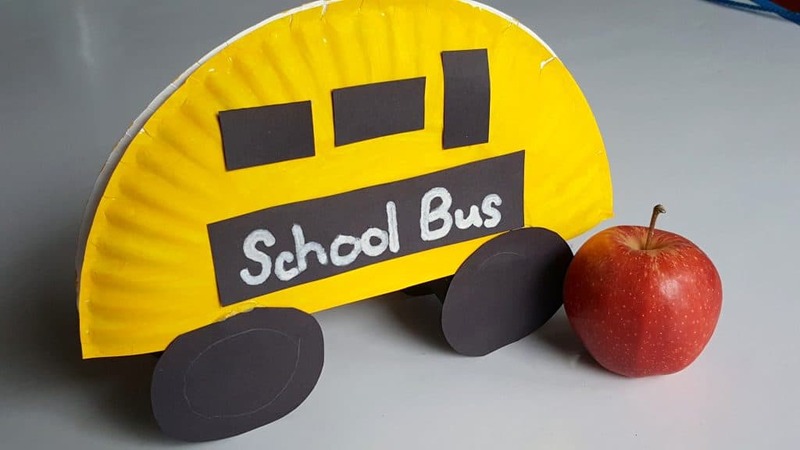 This FUN and easy School Bus Paper Plate Craft is great for kids of any age and can be a fun tool to incorporate shapes for preschool kids! 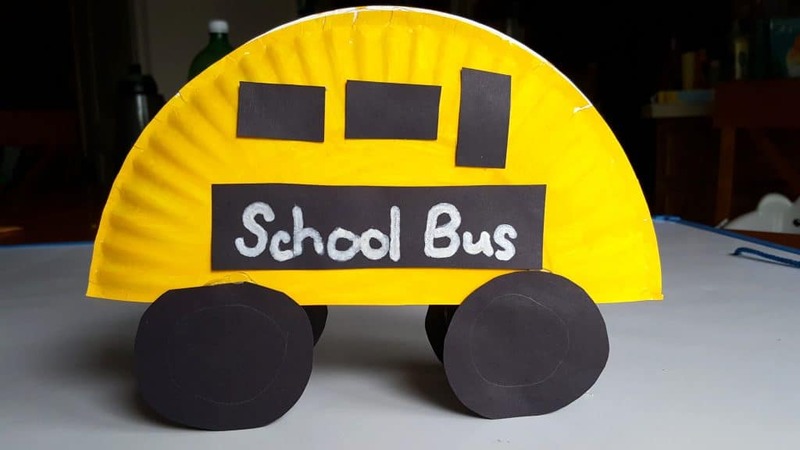 If you want you can just make the school bus on one side to hang on a wall but we made ours more 3D so that it could sit by itself on a table as a desk centerpiece. If your kids are nervous about going to school here’s a great list of books to help back to school butterflies! For each bus you’ll need the above materials if you want to make it exactly like mine. Of course it’s easy to create your own style and design and use what materials you have! 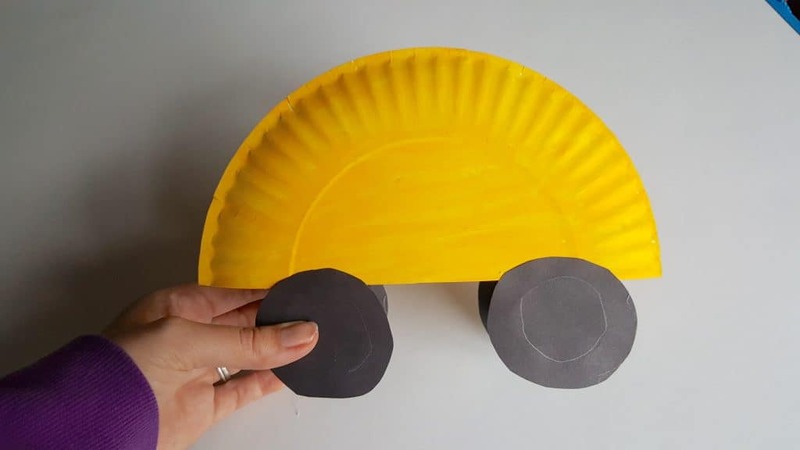 Have your kids paint a paper plate yellow on the bottom then after it has dried cut it in half. 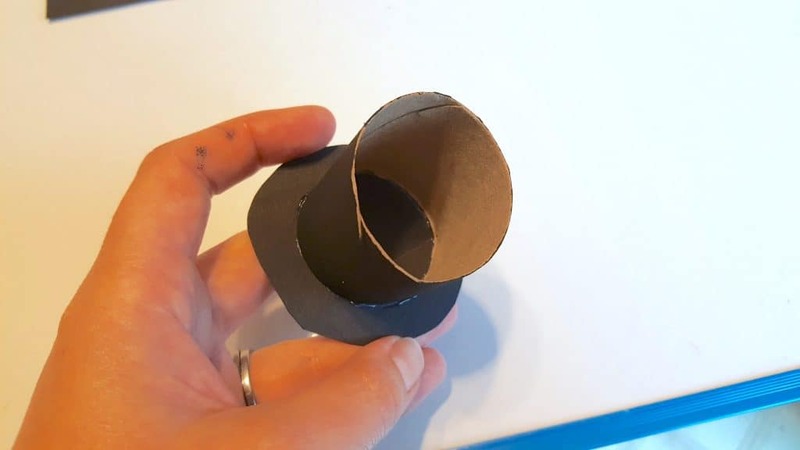 Paint your toilet paper tube black and after it has dried cut it in half. Lastly using your black construction cut out 4 circles, 2 long rectangles, and various shapes for the bus windows. Write the words “School Bus” on your long rectangle pieces with your liquid chalk marker. 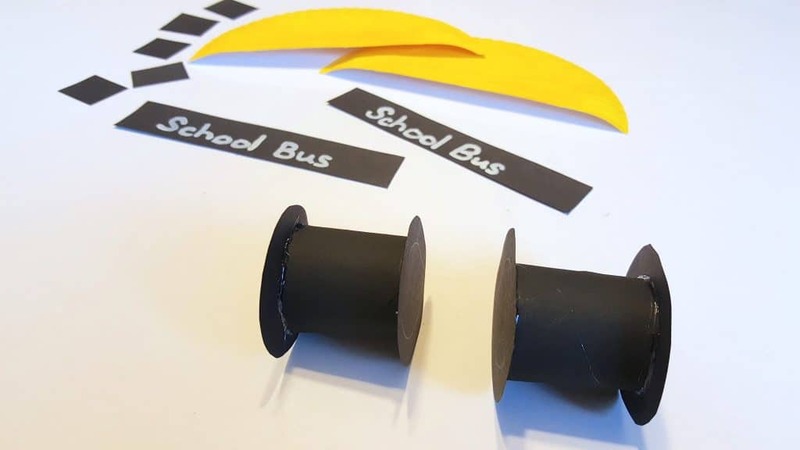 To make the bus wheels glue one black circle onto each end of the toilet paper tube. 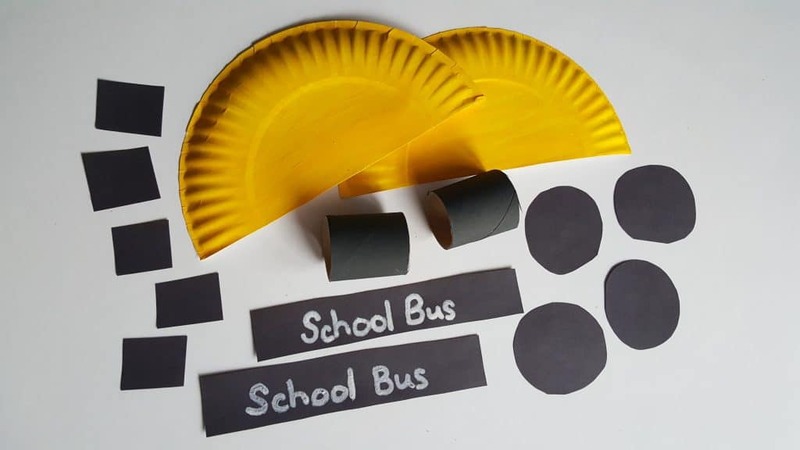 The “school bus” or paper plates will end up sitting on top of these wheels so that the bus can stand on it’s own on a table. 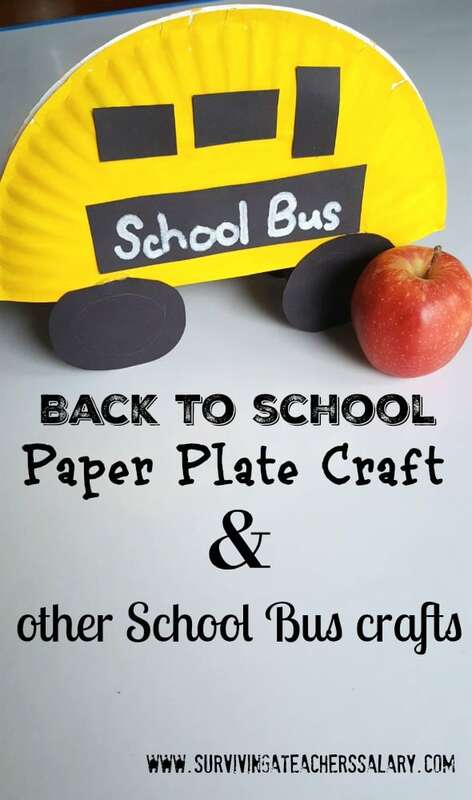 Add some hot glue in between the top of the “bus” or plates and pinch them together until the glue dries. You’ll notice the bottom of the bus/plates will NOT be together – the bottom will be glued onto your toilet paper tube wheel. I glued the bottom of my bus so that the plate on each side was glued up against each black circle wheel. Lastly glue the shapes into place for the school bus sign and windows! 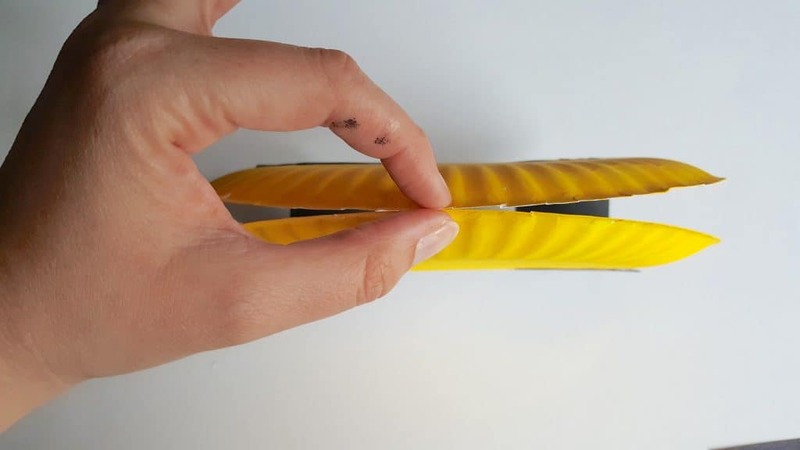 Oops – did you notice I accidentally glued my penciled on circles the wrong way! Look how fun! It stands completely on it’s own which is cool! The kids can push it around the table now and slide it along a hard surface! If you want to turn it into an amphibious bus use two pool noodle chunks instead of the toilet paper tube wheels! The kids will get a kick out of it! 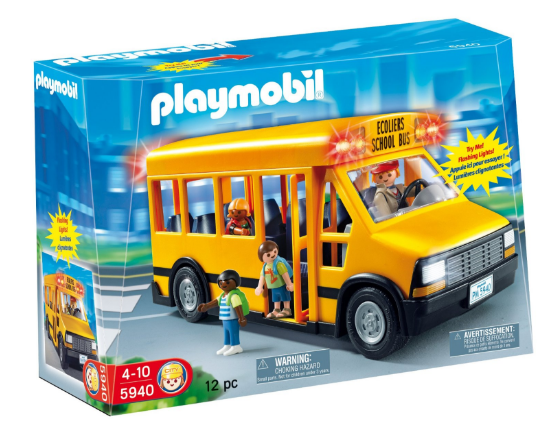 This pull back and go school bus is fun to play with and this cool school bus lights up and plays music! Check out our list of great Back to School Books by Grade Level!